Poor condition of the existing facilities has acted as a disincentive for new cadets and cadet intake has reduced in recent years. This has lead to the decision to utilise Building 288 and relocate the squadron approximately 4.5 miles to Duxford. All proposed work to Building 288 is internal with existing rooms sub-divided to form 4no. 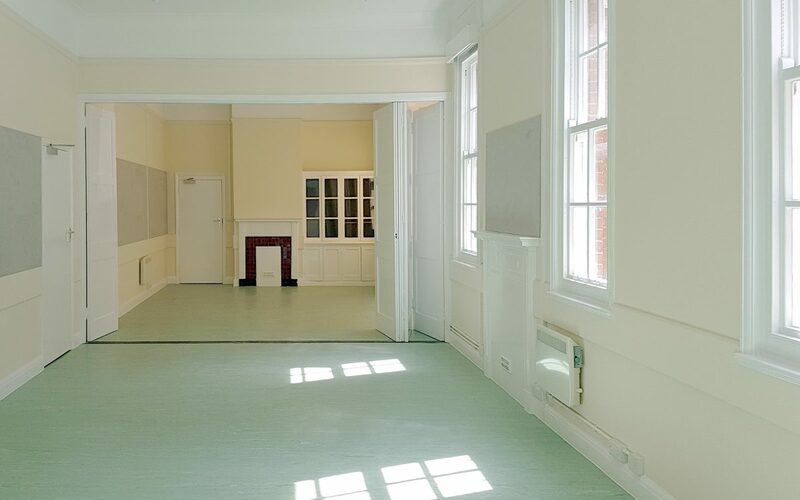 lecture rooms, offices, radio room and separate male and female w.c. facilities. All existing features in the building have been retained including fire places, cupboard, dado rail and picture rails etc. The existing folding partition has also been retained. Only a small amount of demolition was carried out mainly to non-original stud walls in the w.c. area. with an opening in an original brick wall to access the male and female w.c.’s. © 2019 Hoopers Architects Limited.